So, you just found out your POS system needs a software and hardware upgrade to support EMV ("smart chip") technology and you missed the October 1st implementation date. For months, your POS vendor has been telling you it was coming, but they continued to push you off with vague information as to when they would be ready for you and your franchise locations. Now they say they're ready, you need to upgrade right away, and it's going to cost a few thousand dollars per location. Sound familiar? By now you know you surely should have done the upgrades by October 1st. But if you didn't, just as with Y2K, the sky did not fall and the Earth did not stop turning. While you may be happy that you haven't had to spend any money (yet) to upgrade, you're getting more and more worried about being behind in getting the EMV readers. As if POS and EMV weren't enough, you also have other technology issues and likely a small IT department. Wouldn't it be nice if you could connect your mobile app, loyalty program, enterprise reporting/central data hub, payroll/timekeeping, inventory management system, menus, implement pay-at-the-table (for food brands), and have a mobile payments app (like Starbucks), etc.? But you're stuck because your current POS system cost many thousands of dollars to install at each of your locations, and your POS vendor has no real interest in doing all of these integrations. After all, don't they have some of those things already built into their out-of-date software that does some of what you want, but not nearly to the level you need? I'm fairly sure they've quoted you a pretty steep number for for doing the upgrades you need, and a pretty long delivery date. Still with me, or have you already headed to the bar for a stiff drink? Before making a decision on EMV readers, now is the time to re-examine your overall technology landscape with your POS as the hub. The traditional expensive box your locations are likely using today is a thing of the past. You could very likely upgrade your locations to a cloud-based POS system that runs on a tablet with a Bluetooth-connected cash drawer and receipt printer--all for less then you would spend just getting your current POS upgraded for EMV. There are hundreds of tablet POS systems hitting the market and gaining share over the traditional POS systems by leaps and bounds. This is a new business model where you will be paying a monthly service fee for access to the POS in the cloud. With that comes all of the flexibility to pull enterprise-level reporting from your franchisees, push menu items and pricing down to them, and pull in data that marries the transactions that happen at the POS with your loyalty and marketing programs. Want to add pay-at-the-table? Instead of buying the mobile unit your current POS provider wants to sell you for up to $1,000 per unit, you can instead use much less expensive Apple or Android devices. 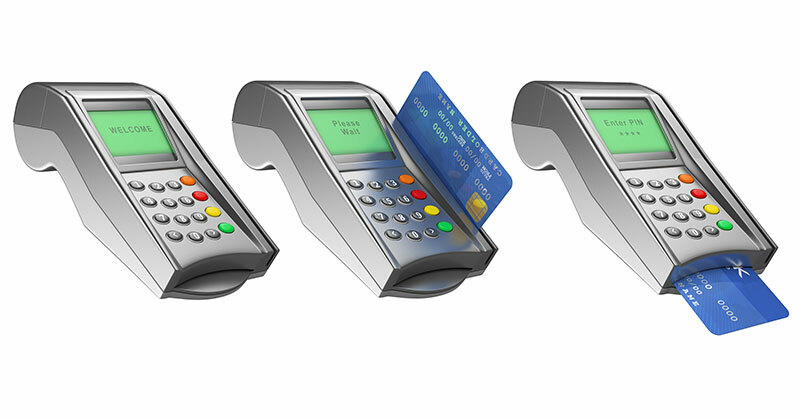 Want to take Apple Pay and Android Pay for NFC transactions? The tablets can do that as well. Want to scan a coupon code presented by a customer on their phone? Yep, the tablets can do that too. Seriously, what are you waiting for? If you are going to have to spend money on upgrades anyway this year, why not spend a little less and get everything you need? Bring your franchise locations into compliance with EMV and be able to achieve many of your other technology goals at the same time--with less disruption to your life and your bottom line. In its annual survey, "POS Software Trend Report 2015," Hospitality Technology asked merchants to rank the top functions they're looking for with their next POS upgrade. Here's how they responded.